In another attempt at quelling public outcry over the skyrocketing price of the lifesaving EpiPen, maker Mylan has announced that it will begin selling a generic version of its allergy medication injector ‒ at the low, low cost of $300. EpiPen administers a quick dose of epinephrine to counter a severe, life-threatening allergic reaction known as anaphylactic shock. The easy-to-use injector is made by West Virginia-based Mylan Pharmaceuticals, which bought the rights to it in 2007. Since then, the price of the EpiPen has ballooned, going from $100 to $600. The generic version will be identical to the branded one ‒ at both the 0.15-mg and 0.30-mg dosages ‒ and will be launched in “several weeks,” after the company completes labeling revisions. The announcement comes just four days after Mylan’s last public relations stunt, when the company said it would introduce a savings card that will cover up to $300 of the cost of the EpiPen two-pack for patients previously paying list price. There are currently few options for the quick delivery of epinephrine. Two of EpiPen’s competitors, AUVI-Q and TwinJect, recalled their injectors over issues with dosages or the devices. Another, Impax Laboratories, isn’t able to produce its Adrenaclick injector ‒ or its generic version ‒ in large quantities. "We do not have an automated process but we are working on [one],” Mark Donohue, vice president of investor relations and corporate communications at Impax, told ABC News. Not all pharmacies stock either version of Adrenaclick, either, he added. 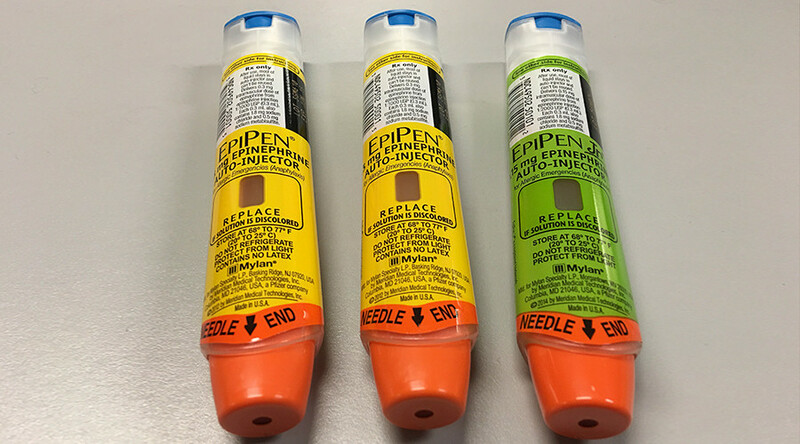 In March, the Food and Drug Administration (FDA) rejected an application by Teva Pharmaceutical for a generic version of EpiPen due to "certain major deficiencies" that forced the product to be "significantly delayed" into 2017 at the earliest, Teva said. That decision paved the way for EpiPen to corner 95 percent of the epinephrine injection market, FiercePharma reported at the time. However, Mylan had already hiked the price of its branded auto-injector to maximize profits in anticipation of competition from Teva’s generic version, Marianne Udow-Phillips, director of the Center for Healthcare Research & Transformation at the University of Michigan,told USA Today. Without competition, Mylan shouldn’t have needed to produce a generic EpiPen, she noted. However, she noted, “It's still a huge profit margin for them." Mylan’s stock took a 10 percent hit last week after a number of senators called on the drug maker to explain the runaway cost of the life-saving injector. Senator Amy Klobuchar (D-Minnesota) led the charge, with Judiciary Committee Chair Charles Grassley (R-Iowa) following suit. On Wednesday, Senators Susan Collins (R-Maine) and Claire McCaskill (D-Missouri) also sent a letter to Mylan asking for an explanation. Bresch is the daughter of another senator, Joe Manchin (D-West Virginia). On Wednesday, Democratic presidential nominee Hillary Clinton bashed the “outrageous” price hike, and calling on Mylan to lower the cost. The company has been a donor to the Clinton Foundation. Mylan’s political outreach led to the 2013 “EpiPen Law” encouraging the use of Mylan’s auto-injectors in schools around the US, leaving the taxpayers to foot the bill. EpiPens are classified by the FDA as both a drug and a medical device that requires specialized training. 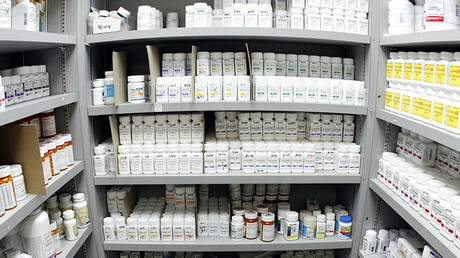 As such, pharmacists in 29 states will not be able to just switch from the branded version to Mylan’s generic one, ABC News reported. Mylan has given 700,000 EpiPens to schools for free, the company said recently.